Coming from the 1771 Group of Restaurants is the first restaurant that makes use of a cast iron griddle when cooking its food. 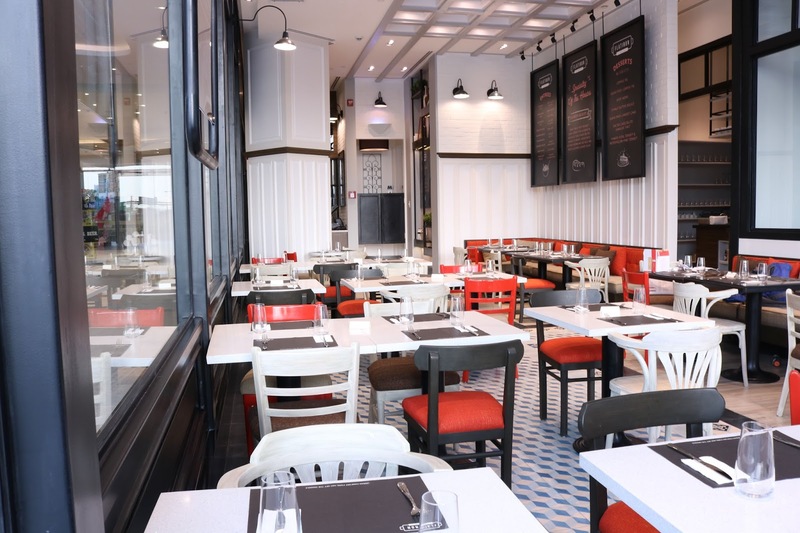 I was pretty excited when Marcie sent me an invitation about this event because any restaurant coming from the 1771 Group is gold and this one was no different especially since it is located at the new Uptown Mall, Bonifacio Global City. While having dinner, we had a few words with COO and Executive Chef Vicky Pacheco. She shared that she is extremely proud of their newest restaurant. I loved the interiors myself and since it is located in BGC, it is a good place for workmates to relax after a long day's work. The first time I took a look at the Pizzaiola Pasta, I knew it would be something special and how right I was. 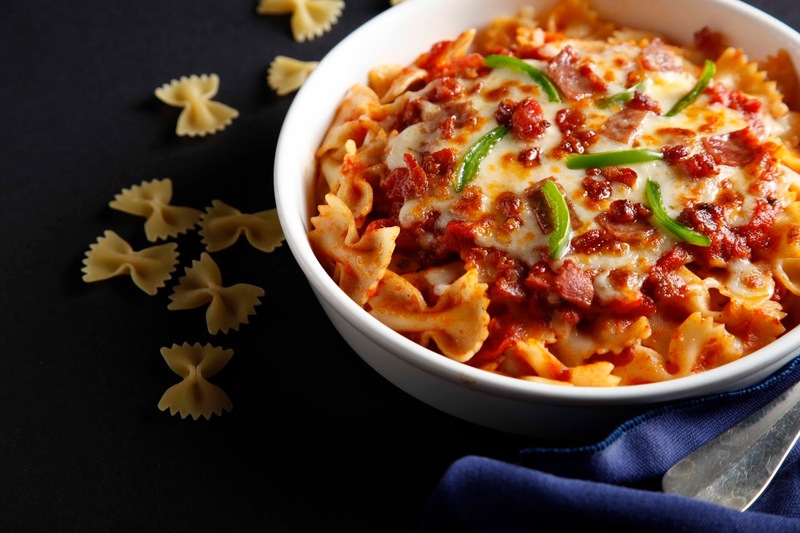 It is bowtie pasta, napolitaine sauce, bell peppers, bacon and salami covered with cheese and gratinated. This is something you can recommend to your children and children's children. I have to admit Salmon cooked in any way is good. 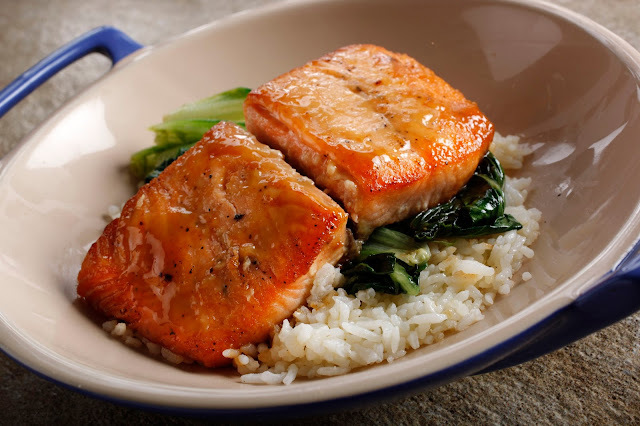 This time, it is broiled salmon with Japanese miso glaze, sauteed bokchoy paired up with buttered rice. That is definitely a combination made in heaven. The Gab Pizza is definitely a pizza that will have people talking about for a long time after they eat it even though it is a tomato based pizza that has simple ingredients with garlic, anchovies and shredded brisket flakes. 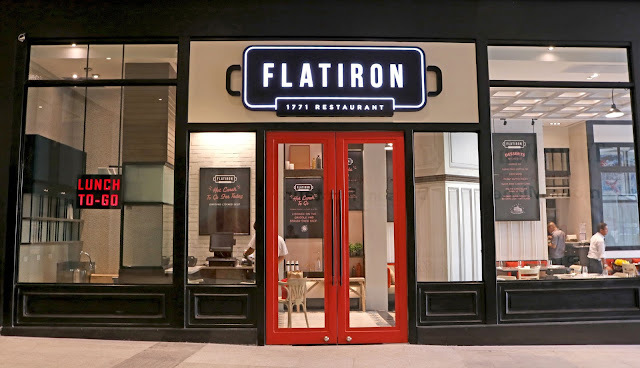 My favorite has got to be the Flatiron Burger even though it was hard picking a favorite among them because they were all good. 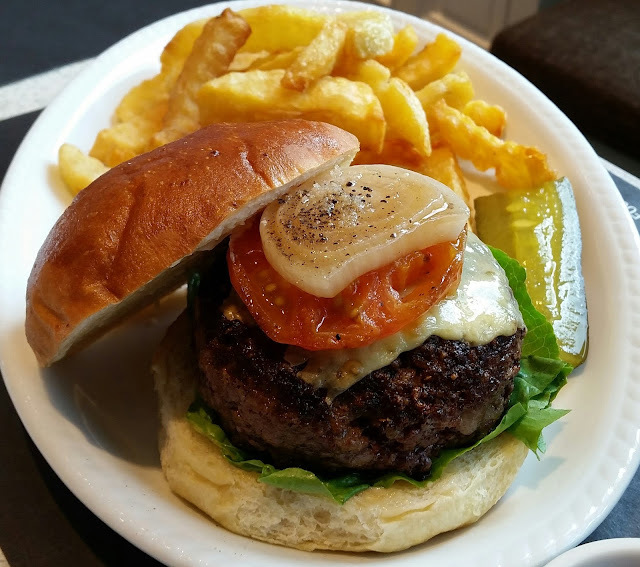 It is U.S. beef chuck flavored with herb butter; in potato bun, grilled tomato & onion along with dill pickle and fries. The burger buns are actually made up of mashed potatoes which is a recipe from the sister in law of Chef Vicky's sister in law. 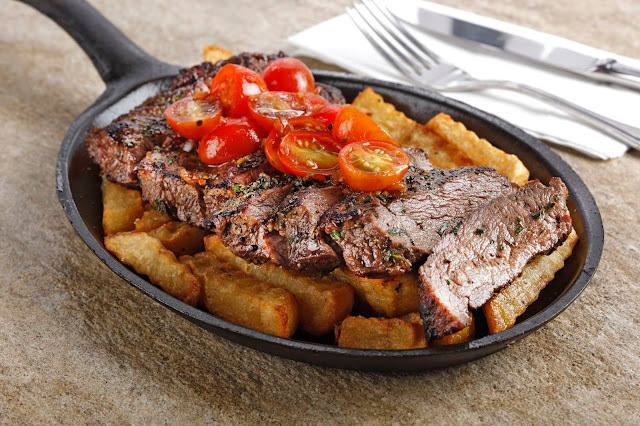 The 300 gram steak cut from beef top blade is quickly cooked on the griddle with herb butter. Believe it or not, I can taste the butter whenever I take a bite. It also has balsamic sauce, green pea mashed potato and french fries. Everything in this dish just spells out winner. In fact, I can still remember tasting the super tender meat. When you decide to reserve a table at Flatiron 1771, you must try the Flatiron Brisket 6. There is a good reason they claim it is the specialty of the house. It is cooked for 6 hours to achieve its fork tenderness. 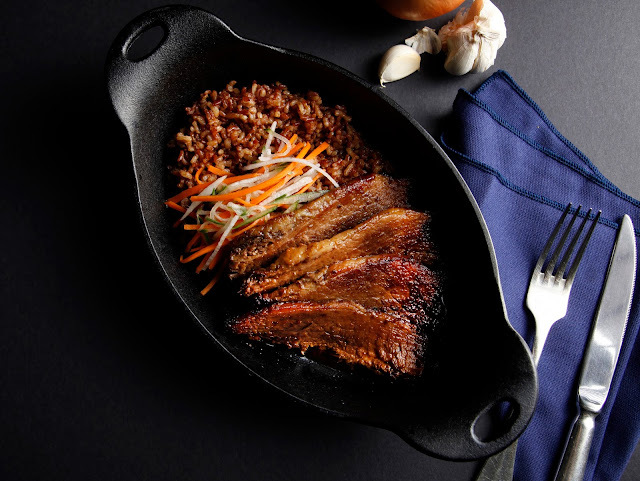 In case you are wondering why the beef is so flavorful, they use US Beef Brisket. You will end up typing so many hashtags after posting this on Instagram. For the Intense Brownie Burger, it is made of 100% Swiss chocolate. 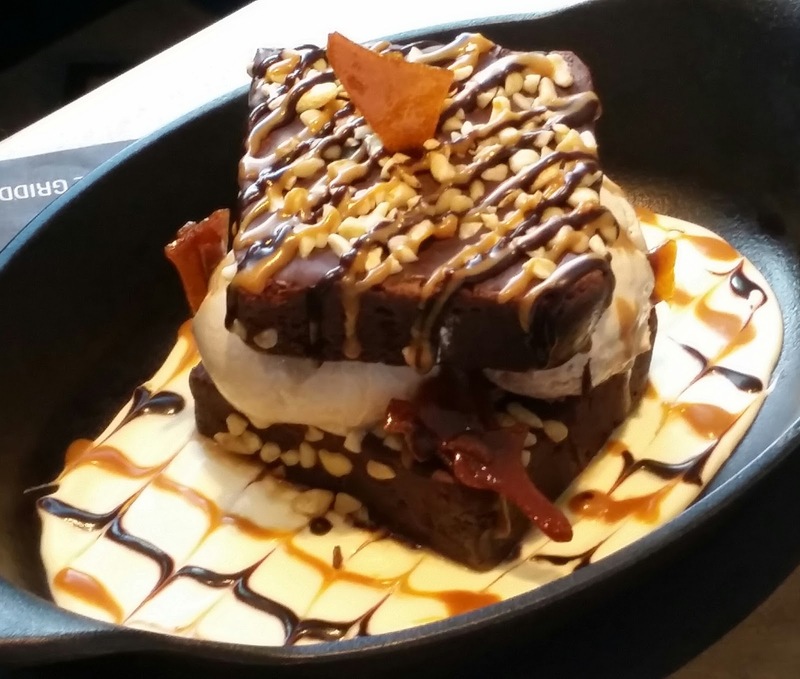 It is a good thing too since there is a lot of chocolate in this one with coffee ice cream sandwiched between 2 Swiss chocolate fudge brownies on cream cheese sauce, slathered with chocolate mocha sauce and toffee sauce and spiked with cashew brittle shards. It is indeed a chocolate person's dream come true. I can't wait to come back here 1771 times. Okay, that may be a bit too much but that was my plan after trying out the food here. It is that good.